Responding to a number of questions receive from taxpayers, the IRS officially announced that despite the recently enacted restrictions on home mortgages, many taxpayers can continue to deduct interest paid on their home equity loans, second mortgages, and home equity line of credit, regardless of how the loan is actually labeled. To speak with an experienced tax attorney about this announcement, please contact our legal team for a free consultation. Under the recently enacted Tax Cuts and Job Acts of 2017, deductions for interest paid on home equity loans and lines of credit will be suspended from 2018 until 2026. 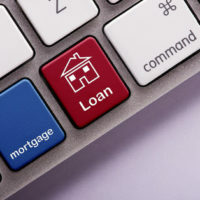 The only exception to this rule is in cases where the loans are used to build, buy, or substantially improve the home for which the loan was secured. For example, interest on a home equity loan obtained to build an addition to an already existing home would be considered deductible, although interest on the same loan used to pay personal living expenses or other debt would not be deductible. Furthermore, in order to qualify for the deduction, the taxpayer must have secured the loan for his or her main residence or second home. The new law also imposes a lower dollar limit on mortgages that qualify for interest deductions. Starting this year, taxpayers are only permitted to deduct interest on $750,000 of qualified residence loans, although the limit is lower, at $375,000 for married taxpayers who file separate returns. This change is a significant reduction from the prior limit of $1 million or $500,000 for a married taxpayer who chose to file a separate tax return. Furthermore, these limits apply to the combined amount of loans that are used to substantially improve, buy, or build a taxpayer’s main residence and second home. If, for example, a taxpayer took out a $500,000 mortgage to buy a home with a value of $800,000 and in doing so, also took out a $250,000 home equity loan to construct an addition on the home, all of the interest paid on the loans would be deductible. This is because the total of the loans does not exceed the $750,000 limit and both were secured by the main home. However, if the taxpayer decided to use some of the loan to cover credit card debt or other personal expenses, the interest on that loan could not be deducted. Similarly, if the taxpayer took out a loan on the main home to purchase a vacation home, the interest on the loan would not be deductible. In the event that the loan exceeded the $750,000 limit, only a percentage of the total interest paid would be considered deductible. If you took out a loan to purchase, build, or alter a home, you may qualify for a tax deduction. To learn more, please contact experienced tax attorney Ronald Cutler, P.A. at 386-490-9949 or by sending us an online message. And remember, initial consultations are conducted free of charge!